It’s a challenge to follow up such a magnificent Syrah vintage as 2012 but I believe our 2013 bottlings actually surpass their immediate predecessor – I think this is our finest set of Syrah wines to date. 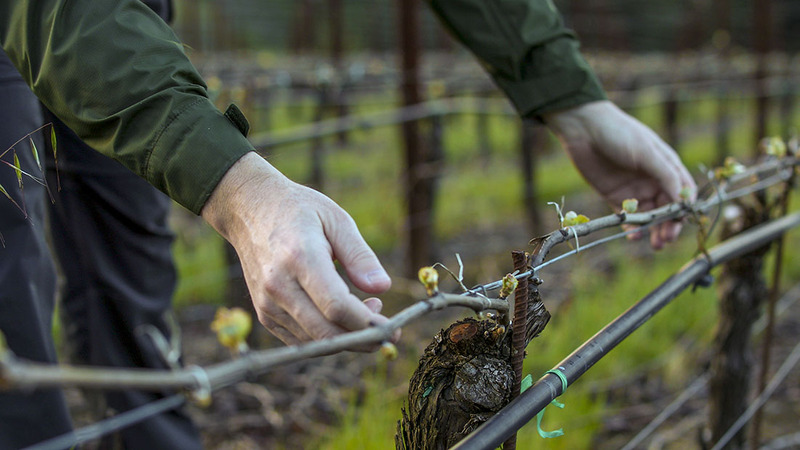 Our farming, the climate, California’s ongoing drought and additional vine maturity all combined to produce grapes that were the most promising I’ve ever seen. Our 2013 RRV bottling is a vineyard blend that is equal to the designates that will follow in the fall and a bottling that you can certainly age for ten to twelve years. It’s a multi-dimensional wine and you can track the development of each detailed aromatic, flavor and structural component as they merge and harmonize on the wine’s finish. With aeration a sense of deep velvety plushness emerges on the palate, layers of flavor complexity and a perfect amount of viscosity. The wine remains wonderfully aromatic throughout – graphite, violet, tobacco leaf and black pepper – very typical for coastal Syrah. And then there’s the juicy savory tannins that bring shape and length to all this potential. Don’t miss this great wine – it’s a contender for wine of the year. Opaque, ruby–purple color; Full spectrum of red, black and blue fruit aromas with wild flowers, anise, dried herb and fresh cut-grass notes. Plum, black raspberry and cassis entry then bay leaf, sage and cocoa powder complexity. Forward mouth feel, volume and breadth. Deep plush fruitiness and a complex forest floor/soil quality. Firm and tightly- coiled structure with crisp apple-skin acidity on the lingering back end. Decant for an hour in its youth.